Fondue is a traditional Swiss dish that is prepared from pieces of cheese, thermally melted with white wine in a special fondue pot – “caquelon”, to a creamy consistency, flavored with cherry rakia or cherry brandy. It’s tasted by dipping hard bread cubes, rolled in the melted cheese with special fondue forks. Fondue is a warm dish that can contain one or more types of cheese, usually Gruyere and Vacherine Fribourgeois. It is the main national dish of Switzerland together with с raclette. It is also known in the Eastern French regions Savoie and Franch-Comte since the 1950s where it is prepared with Beaufort cheese or Comte cheese. 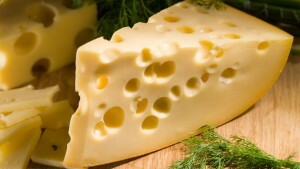 Before the 18th century, in Switzerland cheese was consumed only in the Alps and the Prealps. In the plains, the grain crops prevailed, and only the wealthy inhabitants of the towns and some wealthy peasants consumed solid-textured cheese. With the arrival of its production in the villages, the farmers began to hand over all their milk for cheese. Thus, since the second half of the 18th century, the cheese has spread throughout all the settlements. Fondue and raclette have gained popularity since 1950. Cheese Fondue, the closest to today’s recipe, was first described in 1699 in a Zurich manuscript issued by Albert Hauser entitled “Let’s cook cheese with wine”. The current recipe was first described in the recipe book of the Cooking School in Zurich in 1885. Fondue, in its modern form, with cheese and wine dates back to 1885 and is not of Alpine but of urban origin. 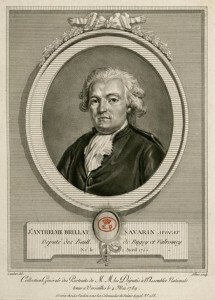 The Fondue recipe was officially published by the French gastronome Brillat-Savarin who, in 1794, made the first recipe based on Gruyere cheese, egg and butter. The year that marks a real turnaround in the history of the Fund is 1940 when at the World Expo in New York, Switzerland presents its new model of fondue pots and offers the world to try the taste of the famous Swiss fondue. Thus, it creates its new emblem and symbol of the Swiss cuisine in front of the whole world. At the table, the fondue of melted cheeses is served in the so-called “caquelon” (a type of enameled, cast iron or ceramic pot) in which pieces of bread are dipped with a special fork with three prongs (there are also forks with two prongs, but they are mainly associated with the meat fondue – the Bourguignon or the Chinese type). The fondue pot (caquelon) is located on a metal pad (usually made of wrought iron) at the base of which is located the heat source (a heater or candles) that keeps the fondue at the desired temperature throughout the meal. Fondue forks are long-stemmed with a round handle. A piece of bread or rarely potato slices (traditionally consumed with Fondue fribourgeoise) are dipped into the melted cheese stirring in a circular or a figure-eight motion of the fork. When removing the fork from the fondue, it should be rotated continuously in a circle so that the melted cheese doesn’t drip outside the pot. The soaked mouthful is served towards the mouth when the cheese is already cooled to a suitable temperature for consumption and thus a full taste is achieved. It is a common rule for cheese producers to sell ready-made cheese mixes, especially for fondue preparation, which makes it possible to avoid the difficult choice of the cheese combination. In Switzerland, these cheese mixes can be found in supermarkets. There are many and varied Fondue recipes. For example, before beginning the fondue preparation, several cloves of garlic can be crushed at the bottom of the caquelon, then add the grated or sliced cheese and finally pour the wine. The specific thin in the Fribourgeoise fondue recipe is that the wine is replaced with water. The fondue set is turned on on a slow fire while stirring periodically until the cheese is completely melted. Then pepper and other supplements are added according to the desired recipe, such as sliced in cubes shallots, morel mushroom, mustard, etc. Corn starch dissolved in a little bit of cherry brandy can be used to thicken and improve consistency in cases where more wine is added, for example, or when the fondue is more liquid. Sometimes, a little bit of cardamom powder (which improves digestion) or other spices can be poured directly into the plate, where the cheese dipped bite is rolled right before consumption. Finally, when the fondue is over, it is possible to have dregs or crust of toasted cheese, called “religieuse”, which is removed with a fork, sometimes it is quite difficult. Also, at the end of the fondue you can add and prepare scrambled eggs. There are different regional varieties of fondue. Each region offers its own recipe with its characteristic cheese and specialties, making the fondue a real culinary journey. The Moitié–Moitié fondue or as it is also called the Swiss fondue for the purpose of tourism and marketing, is the typical Swiss fondue. Its main ingredients are Gruyere cheese and Vacherin Fribourgeois cheese and some garlic and white wine are added to them. This fondue is tasted with bread cut into large cubes. The fribourgoise fondue is made entirely of Vacherin Fribourgeois cheese. It is quite fat but more delicate as a flavor to prepare compared to other cheese fondues. It is consumed with bread or potatoes. This fondue is served lukewarm, creamy and homogeneous. Traditionally, a suitable drink to it is Swiss white dry wine such as the Chasselas wine. The Savoyard fondue is a traditional dish from the Savoy region gastronomy based on melted cheese and bread. It is made from local products such as Comte, Beaufort, Gruyere or Emmental cheese from the region of Savoy. With the development of winter sports and alpine tourism since 1950, the Savoyard fondue has become a recipe from the popular cuisine in France. There are also a number of recipes for fondue-style cooking with fish, vegetables or meat, such as fondue bourguignonne, fondue bressane, Chinese fondue, Japanese fondue, sailor’s fondue, Vietnamese, vinegrower’s, red wine fondue and even chocolate fondue. Fondue bourguignonne is a beef fondue dish friend in Swiss oil. Despite its name, it is of Swiss origin. This name refers, on the one hand, to the cheese fondue, and, on the other hand, relates to the meat of the Charolais bovine breed coming from the Burgundy region of France. The meat is cut into bits of the size of a bite. Everyone puts the meat bite in the oil, pre-heated in the fondue pot, and fries it to readiness. The meat is garnished with various sauces – mayonnaise, béarnaise, tartar as well as parsley and chopped onions, ketchup, Worcester sauce, etc. Fondue bressane or the so-called peasant fondue consists of pieces of turkey meat that are first dipped in yolk, then in bread-crumbs and finally fried in hot oil. The Chinese and the Japanese fondues consist in pieces of beef fried together with vegetables, and the sailor’s fondue – pieces of fish fried in white wine. Chocolate fondue is a melted chocolate in which bites of different fruits or pastries are dipped. To successfully prepare this recipe, first the fondue pot – the caquelon must be rubbed with garlic. Mix the wine, cheese and corn starch and heat until light bubbles appear on the cheese, on moderate heat and stir until the cheese melts. Finally, sprinkle the resulting product with cherry brandy, then season and leave at medium temperature to keep warm.